Women Rising directed and produced all filming at the 2018 United State of Women Summit in Los Angeles headlined by Former First Lady Michelle Obama. Our team filmed and streamed the 8 hour summit as well as brought Hollywood together for the first time to stream and sponsor the programming for women across the country. Women Rising was very proud to unite YouTube and Facebook as co-streaming partners with Dreamworks TV, Sony Pictures, and Paramount Pictures as co-sponsors of the summit. In partnership with Lionsgate, Imagine Entertainment, Women Rising and the director of The Spy Who Dumped Me , we created an opportunity for female storytellers to share meaningful, heartfelt, and hilarious stories with the world. Inspired by The Spy Who Dumped Me, a hilarious buddy comedy starring Mila Kunis and Kate KcKinnon and directed by Susanna Fogel, we are inviting female filmmakers to share their stories about enduring friendships - with lots of laughs! The winner is receiving $15,000 to create their next short film, a trip to Los Angeles for an influencer screening of The Spy Who Dumped Me and a meet and greet with the filmmakers. March for Our Lives was created, inspired, and led by students across the country who will no longer risk their lives waiting for someone else to take action to stop the epidemic of school shootings that has become all too familiar. 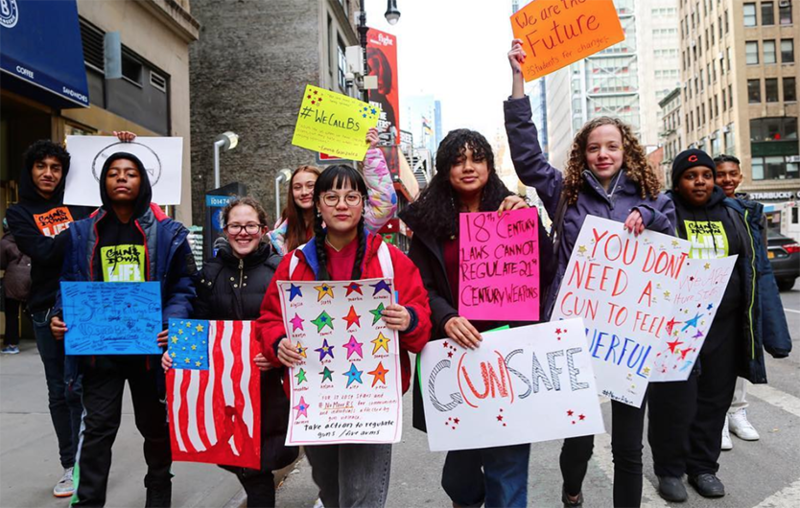 In the tragic wake of the seventeen lives brutally cut short, dozens injured and thousands impacted in Parkland, Florida, Women Rising came on board as Executive Producers for the March for our Lives NYC to help amplify the voices of survivors. To celebrate International Women's Day 2018, Women Rising hosted a sold out, private book signing and conversation in Austin featuring Maria Shriver and her New York Times Best Seller, "I've Been Thinking... Reflections, Prayers, and Meditations for a Meaningful Life." Project Maverick brings girls, their grown-ups, and allies (organizations, companies, and innovation partners) together to create opportunities to practice new habits of power: competition, origination, disruption, and risk-taking. 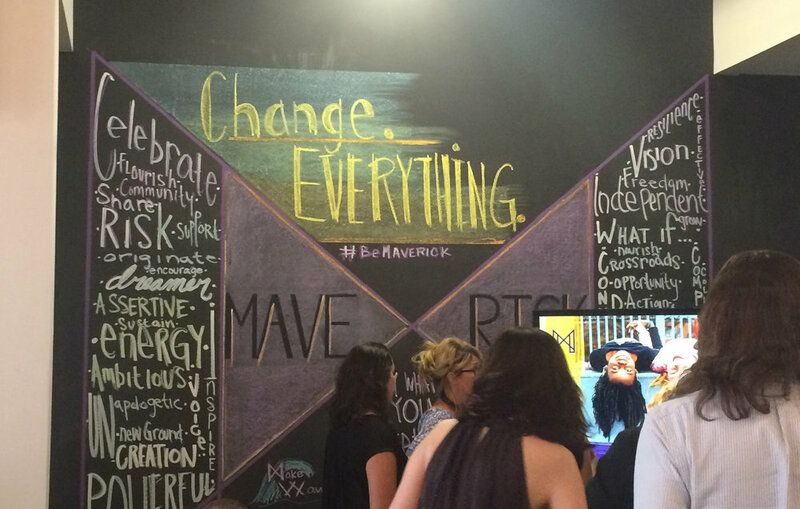 Women Rising is proud to be an Advisory Member and producer of the Maverick Mentorship Platform; empowering girls to develop their vision and hone their ambition, becoming independent thinkers and doers whose dreams, vision, and energy will change the world. With only three weeks advanced notice, Women Rising volunteered to Direct and Co-Produce the Women’s March on Austin rally. From development, ideation, pre-production, creative direction, scripting, logistics, talent programming, physical and post-production, our team whole-heartedly contributed to making the January 21st, 2017 event both the largest march as well as the largest gathering of women in Texas History. 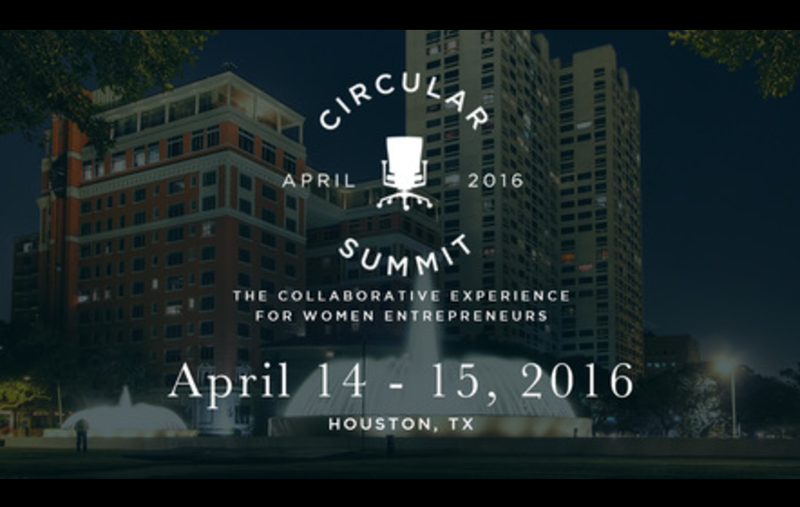 Women Rising produced, directed, programmed, and publicized Circular Summit, an invitation-only even for high-growth women entrepreneurs. This select group of esteemed female founders was joined by mentors, media, investors, and experts from across the country during a two-day summit, held in April in Houston, Texas. In 2013 Women Rising produced the inaugural TEDxAustinWomen, in association with the United Nations Foundation, marking the first occasion the UN Foundation had joined as an official partner for any TEDx event. Women Rising handled all brand development, sponsorship sales, event planning, programming, pre-event, live, and post production. Women rising produced, directed, programmed, and publicized Prevention Magazine’s 3rd Annual R3 Summit, a two-day, 1,000+ attendee health and wellness event that took place in Austin, TX in January 2016. With 4 stages including wellness workshops, cooking demos, fitness actives, countless brand activations, and over 25 expert speakers, the R3 Summit helped women ring in the New Year feeling revived, refreshed, and reinvented.